She's Fantastic: The New Female Dinobot - SLASH! 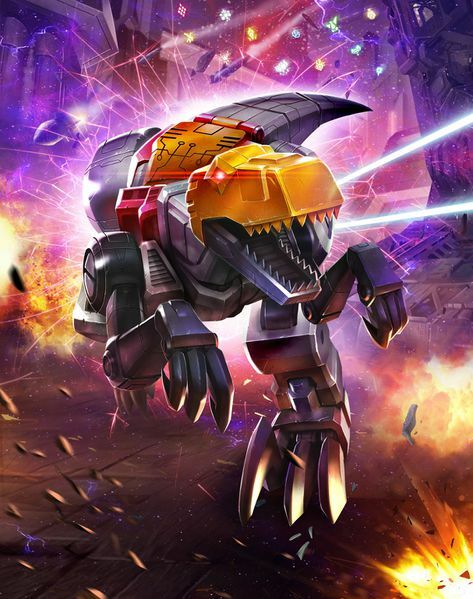 The New Female Dinobot - SLASH! I'm always torn about female Transformers that don't outwardly appear female. It shouldn't matter. They don't have biological forms, and including an exaggerated hourglass body shape or a gigantic chest is just ridiculous. But still, I find myself loving characters that appear typically feminine (like the upcoming Moonracer), and being lukewarm about androgynous characters like Slash here. Slash was a surprise that I first learned about last week. This is the first official toy of a female Dinobot, despite the fact that the (male) Slash character from the movie was originally intended to be female. This is also the first 3.75" Transformers figure I've ever bought. It's an interesting scale and I would definitely pick up more. I also really want to support this Power of the Primes line in any way possible because the female figures on the horizon (Elita-1, Firestar, and Moonracer) are some of my most sought-after toys ever and I want to ensure I get them in my greedy little hands. Let's check out the Dinobot Slash below! FYI I learned some new slang today. "Slash" is shortform for fictional (usually very adult) character pairings in fanfic. So if you Google "Transformers Slash" like I just did, brace yourself for some delightfully inappropriate robotic fanart. Slash's Dinosaur mode is a raptor. Similar to the 3rd Party figures I reviewed last winter, I love that the beast mode is a ferocious hunter. I think a typical choice would be for a more gentle dinosaur. Here is Slash with the two 3rd Party Lost Exo-Realm fembots from earlier this year - Comera and Echara. And here she is with the Battle Pack Strongarm. I thought these were the same scale, but obviously they are not. I'm glad they didn't give this figure "curves". I'm tired of seeing sexualized robots for crying out loud!